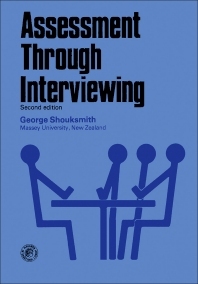 (partial) Practising individual interviewing: The nature of the interview. What to assess. The do's and don'ts of interviewing. A case study in interviewing. 'Odds' and 'ends' about interviewing. Group interviewing: Background and development. Organizing and operating a group interviewing programme. A practical example of group selection. Interviews, groups and social behaviour : The interview and group theory. Beyond assessment. Groups as forces for change. Bibliography.